(VNO) – A surprise witness has come forward to say several items belonging to a missing Texas teenager were located in a public place a few months after she disappeared. 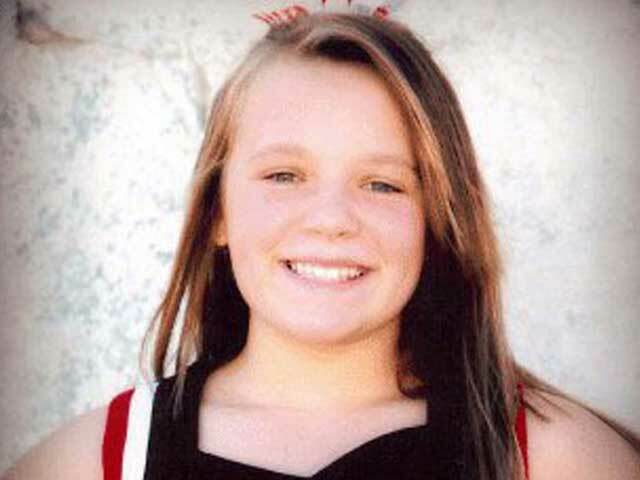 Thirteen-year-old Hailey Darlene Dunn was reported missing from her home in Colorado City, Texas, on December 28, 2010. She was located ‘deceased’ exactly 30 miles from her home in March 2013. 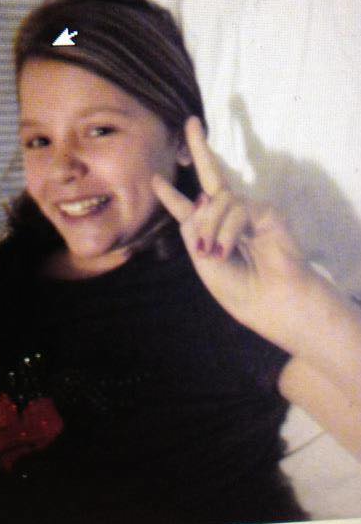 The witness, who was a middle schooler at the time, claims to have located several items belonging to Hailey Dunn in late spring or early summer of 2011. The individual claims to have been unfamiliar with the little girl’s disappearance, and did not notify authorities of the findings. The individual, now an adult, recently learned about Clint Dunn’s social media blitz to catch his daughter’s murderer(s) and recognized the name from one of the objects. The person claimed Hailey Dunn’s name was clearly visible. Clint Dunn received a message Thursday morning with the new information. He and his Private Investigator spoke with the witness shortly thereafter. The individual has agreed to provide a sworn statement to police about what was found and where it was located. “Where is it”? Dunn asked Victims News Online. “Is this stuff still out there? Did someone else find it? This could be THE break in the case, and I need to know where this stuff is”. The objects – and their location- are being withheld from the public to give law enforcement time to investigate. However, the particular spot where the items were said to have been found was searched multiple times by both search teams and Clint Dunn himself. “The witness said they saw orange ribbons, which was the local search team’s ribbons”, Dunn told VNO. “Each team used different colors. The (Hailey Dunn) Search Center has records of those searches, and their timeframes. This may have been dropped later, and could have a fingerprint or the killer’s DNA. I need to know if someone else picked it up. Did anyone else see anything belonging to Hailey that they remember now”? “This could explain why Shawn and Billie Jean were asking searchers where they were going”, Dunn continued. “I could never understand why certain searchers went to their house and disclosed locations before the areas were searched. But it makes sense if they wanted to know what areas were being cleared, so they could dump evidence there afterwards”. Shawn Casey Adkins, the former boyfriend of Hailey’s mother, remains the only named suspect in Hailey’s disappearance and murder. Hailey’s mother. Billie Jean Ostrander-Dunn, was arrested in March 2011 for hindering the investigation when authorities attempted to serve a search warrant on Adkins in the couple’s home. Clint Dunn is asking anyone with information to please contact him directly via Facebook, so he can keep track of any new tips and relay them to authorities. “They can’t say I’m interfering with the investigation. What investigation? I don’t believe John McDaniel is working this case. The public needs to know he’s ignoring me”. He does not know this case as well as he should, and he told me two years ago it’s his only case. I may not be a smart man, but I know my daughter’s case better than anyone, including him”. Thursday afternoon, Scurry County DA Investigator John McDaniel received the tip and the name of the witness via phone and e-mail. Mitchell County Sheriff Patrick Toombs also received the information, as it falls within his jurisdiction. “My PI asked John McDaniel if this piece of evidence is in their possession. He said he would have to check. What does that tell you? John McDaniel doesn’t know if he has it. Any good investigator knows what they have and don’t have”. While the Scurry County District Attorney’s Office claims the investigation is ‘active’, Dunn knows that doesn’t necessarily mean it’s being worked. “I learned the hard way from Keisha’s (Hodges-Hawkins) case that ‘active’ doesn’t mean they’re talking to people every day. ‘Active’ technically means the files haven’t been boxed up and put into a storage locker. They’re using terms to make you think they’re on top of this case. But they don’t realize I’ve been brushing up on what those terms actually mean”. Dunn was furious this morning after learning the Scurry County District Attorney’s office told KCBD-TV yesterday that ‘no new evidence has been brought to their attention’. “I spoke to this person myself, and so did my PI. I followed the law, and handed the information over to the guy in charge of the case. I need the public to understand that we are finding new information every day, but McDaniel isn’t taking new evidence. He gets to decide who gets a call back and who doesn’t. He is ignoring phone calls from new witnesses who claim to have information. I have this in writing from those people. That’s why I have to work this case myself”. This morning, Dunn called the information into the FBI Office in Dallas, and was also directed to call the Supervisory Senior Resident Agents (SSRAs) in the Lubbock and Abilene field offices to follow-up on the tip. “I will call this tip in to every jurisdiction, until I see action”, Dunn said. “I will also keep giving the names of every new witness to everyone I talk to, so they can be interviewed”. Dunn is also frustrated that the statute of limitations for felony kidnapping has been allowed to expire. “All the affidavits showed probable cause for felony kidnapping”, Dunn said. We looked into having them charged on the kidnapping now, because Scurry County hasn’t made an arrest for the murder. “But the statute ran out on that anywhere from 12 months to three years ago. Scurry County took the case away from Mitchell, and it stalled; now, we can’t even get them on the kidnapping charges”. “It’s time for the investigator to be investigated”, Dunn said. Three different rewards now exist for information leading directly to the arrest of Hailey Dunn’s killer(s). The FBI is offering a $15,000 reward. 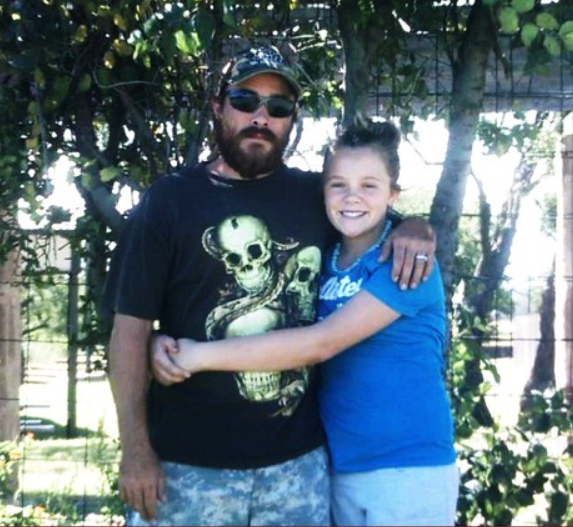 The Mitchell County, TX, Sheriff’s Office is also offering a $15,000 reward. CrimeSteoppers of Scurry County, TX, is also offering $3,000. You may remain anonymous with CrimeStoppers. Clint Dunn is asking anyone with information to contact the FBI’s Dallas Division at (972) 559-5000, and to submit the tip online to the FBI. He is also requesting people to send him the tip via Facebook, and to e-mail Private Investigator Erica Morse at erica@victimsnewsonline.com. Tips will immediately be submitted to law enforcement and independently investigated. VNO’s full coverage of Hailey’s case may be found here. Funny law enforcement also said the lake had been thoroughly searched as well and tape was placed but that’s where she was found.